I’d recently written a review of Nvidia’s new GTX 1060 for Norm Chan over at Tested. Nvidia positions the GTX 1060 as a mainstream card, and the eVGA model I reviewed runs at the reference clock frequencies and costs a relatively modest $249. I thought I’d stack this up against a high-end card from the past. I’ve got a number of PCs here we use mostly for Friday Night Follies LAN parties. Many of these used to be test systems when I worked as a full time technology editor or freelance writer. Some of them still run older hardware, and one of them happened to still be running an eVGA GTX 780 Ti SC. The GTX 780 Ti launched in Fall, 2013, just shy of three years ago, and initially cost a cool $699. Nvidia built the GTX 780 Ti using the same GK110 GPU as the first GTX Titan, which had shipped six months prior to the GTX 780 Ti. Let’s compare the speeds and feeds of the once king of the GPUs and compare it to the more modest GTX 1060. The GTX 780 Ti has more than double the number of ALUs and double the memory bandwidth of the GTX 1060. The GTX 1060 clocks roughly 50% faster (almost 70% faster in boost) and ships with twice as much memory as the GTX 780 Ti SC. On the physical side, the GTX 780 Ti eats up double the power and has 60% more transistors. Built on TSMC’s 28nm HKMG process translates to a 2.75x larger die size than the GTX 1060, built on 16nm FinFET. I plopped these into my test system and ran my usual set of benchmarks. Let’s put up a few charts; you can click on an individual chart thumbnail to embiggen it. What you’ll discover as you go through the charts is a essentially a dead heat between the $250 GTX 1060 and the formerly $699 GTX 780 Ti. In benchmarks where 3GB starts to look anemic, the GTX 1060 performs noticeably better. We can draw two lessons from this comparison. First, GPUs do improve dramatically over time, so much so that the a $250 card can outpace the high-end card from two generations ago. However, it’s not always that simple. In this case, moving to 16nm FinFET and enabling much higher clock frequencies is the fuel that makes the GTX 1080 a 780 Ti killer. Also, the 200mm2 die size allows Nvidia to build $250 graphics cards that only consume 120W even with 6GB of fast memory. The lone 6-pin power connector means more modest power supply needs. All these changes represent a discontinuity that can only happen when when making a dramatic shift in manufacturing process. The second lesson: don’t buy a card every generation. This is especially true when a new chip uses the same manufacturing tech as the old. 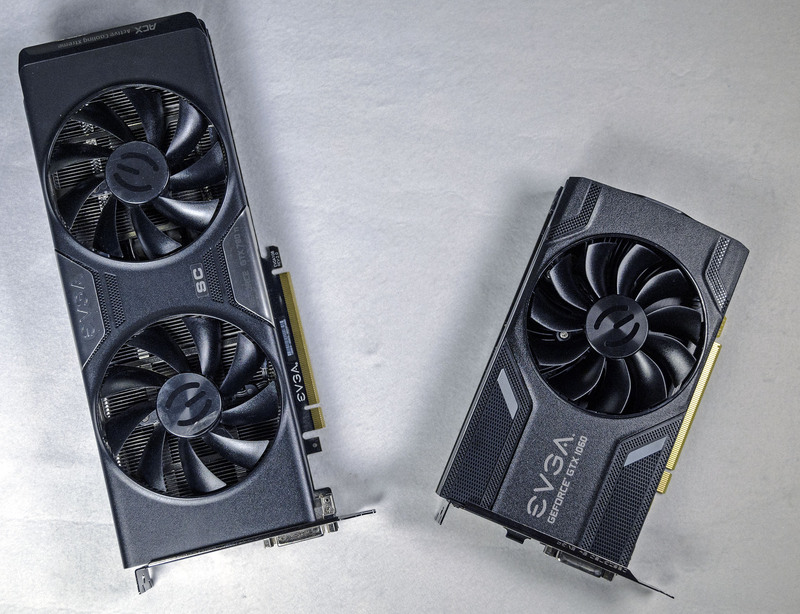 The GTX 980 didn’t improve dramatically on the 780 Ti. If you owned a 780 Ti, skipping Maxwell and waiting for Pascal would have paid dividends. You’d either have seen dramatic improvements by moving to a GTX 1070 or 1080 or achieved performance parity with a GTX 1060 for just $250.